Every person in your family tree is important, right? As much as we may hate to admit it, sometimes certain persons are more important than others. For example, imagine wandering around through the outskirts of your family tree when you realize it’s time to shut down for the night. You wish there was a way that you could just pick up where you left off the next time you get on… and there is. Just select any bookmark in the list and click Go, and RootsMagic will jump directly to that person. There’s no limit as to how many bookmarks you create, although if the list gets too long you’ll want to make sure you read last weeks tip on incremental searching. 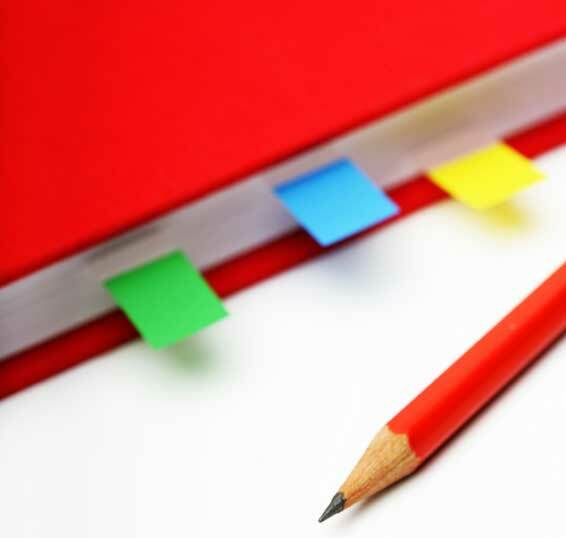 Your bookmarks are saved with your database so you can keep them as long as you wish, or you can highlight a bookmark in the list and click the red X to delete it. Bookmarks are also great for when you need to temporarily go somewhere else in your tree and be able to quickly return to the current person. Just bookmark the person you are on, go do whatever else you need to do in your tree, then quickly jump back to the original bookmarked person. So remember, while every person in your family tree is important, bookmarks let you mark those that are the most important to you at the time. And, to avoid any hurt feelings, you might want to make sure any living family members don’t notice their absence from the bookmark list. This is really a very useful feature. There are certain people in my database who I work on on a regular basis. This provides a nice way to quickly get back to them instead of going through the people search facility. Many thanks! Sometimes I use this feature, especially if most of the individuals have the same surname. 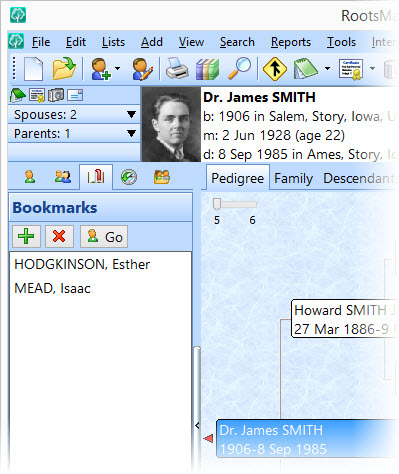 I use bookmarks so I can jump to 2nd spouses/families whose lines are very important in my genealogy. I also use them for accessing several older Norwegian lines so I don’t have to remember the patronymics AND the farm names. Having them bookmarked saves me a lot of scrolling time! Great idea! I didn’t even know I coulddo that. Fantastic!!!!! Just last night, as I closed RootsMagic, I was wondering if there was a way to ‘keep my place’. So I’m gonna be using this now! Thank You! I have too often not remembered where I was working. And thank you for the ‘Tips'; there are so many tools, not really hidden, but great tools that I am not aware of in RootsMagic. Thanks for that! Short and sweet, appreciated! Seems a lot better than what I was doing all these years. Ha! You guys are so smart!!! Thanks for showing us about bookmarks. This tip was very helpful, I haven’t used Roots Magic too often because I couldn’t get around well. This tip helped, Thanks. What a wonderful idea, Thanks. Just tried the Bookmark and it is way cool. Like the idea of being able to do this so that I can jump between the people that I am working on at a particular time. Since I do both my lines and my husbands this will be a lot easier to get all new information attached. Thank-you for Bookmarks, now I know how to use them. I am so thrilled you told me about this feature. It will keep me from making sticky notes everyday and throwing them away every morning. A very useful feature. Thank you for the tip. You didn’t teach us how to get to the bookmark page quickly. I assume when you want to go to bookmarks that you go to Search, then bookmarks, then choose manage bookmarks, then select the person you want, then click OK. Is there a quicker way to get to the person on the bookmark list? Reply: Open the Sidebar Index on the left side of the program. If it’s closed then look for a very slim button with a tiny arrow inside it along the left edge of the program. Click on it to open. Click on the middle tab with the red bookmark icon and the list of people bookmarked appears. You can add, delete or go to the people in that list using the buttons on that tab. If you always want the sidebar to open to the Bookmark tab you can set the default at Tools>File Options>General and under “Starting side list view” select Bookmarks. Once you open the sidebar it will remain open in the program. Hi there, I am quite new to RootsMagic so quite slow in getting around. I have just read the info on Bookmarks and am sure that this will really help me to get around quicker. Thanks to everyone who designed this.